Can Citi Executive Card Authorized Users Enter American Airlines Lounges? Update: This offer for the Citi American Airlines Executive card has expired. But you can check Hot Deals for the latest offers! Readers have asked if they can enter American Airlines Admirals Club lounges as authorized users on the Citi AAdvantage Executive World Elite Mastercard. If you’re the primary cardholder, you can get into 30+ Admirals Club lounges with the Citi Executive card. Because American Airlines and US Airways are merging, you can also enter US Airways Club lounges. What Is the Citi Executive AAdvantage Card? I’ve written about the Citi AAdvantage Executive World Elite Mastercard 100,000 mile offer. This is my favorite current deal! We don’t get a commission for the card, but it is the first card on my Hot Deals page. 100,000 miles after you spend $10,000 in the 1st 3 months Here are 40 ways to do that! This card is a great deal because you get 100,000 miles plus American Airlines lounge access (worth $500) and other perks. The $450 annual fee actually works out to $250 when you count the $200 statement credit. That’s because $450 Annual Fee – $200 Statement Credit = $250. We got our $200 statement credit on our first statement. How Do I Enter the Lounges? Citi Executive primary cardholders can enter Admirals Club lounges and US Airways Club lounges by showing their card, photo identification, and American Airlines frequent flyer number. You don’t have to be flying on American Airlines to access the American Airlines or US Air lounges. 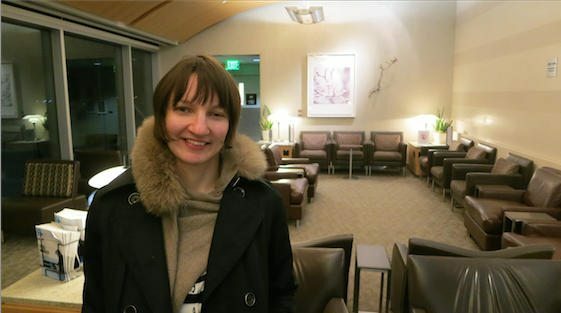 Cardholders can also access some American Airlines partner lounges (like Alaska Airlines, Qantas, Cathay Pacific, Finnair, LAN, or Japan Airlines) in certain cities. Note that you can’t access these airline lounges in ALL cities, but only in the cities listed. The rules are different for each location, but you generally have to be traveling on American Airlines (or for Qantas lounges, be flying on Qantas) that day to access the lounge. Note that the terms say that you “Must present your membership card” to access these lounges. The primary Citi Executive card has the Admiral’s Club logo on the back and is the “membership card”. Who Can I Bring in With Me? You can bring your immediate family (spouse, domestic partner, and children under 18) or up to 2 guests into the lounge with you. Unfortunately, your sister, brother and parents aren’t considered immediate family. Can Authorized Users Access Admirals Club Lounges? I applied for the Citi Executive card in January and added Emily as an authorized user. The terms and conditions say authorized users can NOT access Admirals Club lounges on their own. Authorized users of the Citi Executive / AAdvantage World Elite MasterCard credit card are not entitled to Admirals Club membership privileges. But the numbers on our cards are exactly the same! I wondered how lounge staff could tell who was the primary cardholder, so I did a little experiment. Would Emily Be Able to Enter the Lounge Anyway? Emily and I were recently at Los Angeles airport. I wanted to test if she could get into the Admirals Club lounge on her own with her Citi Executive authorized user card. Emily’s About to Be a Guinea Pig for Daraius’ Experiment! Emily was allowed into the lounge. But then the agent looked puzzled at her computer and asked to see Emily’s card. She asked Emily if she was primary cardholder. Emily said she wasn’t, and said that I was the primary cardholder. The agent said that only primary cardholders could access the lounge, but I could bring my family or up to 2 guests. I asked her how she knew Emily wasn’t the primary cardholder and she showed me the back of the card! 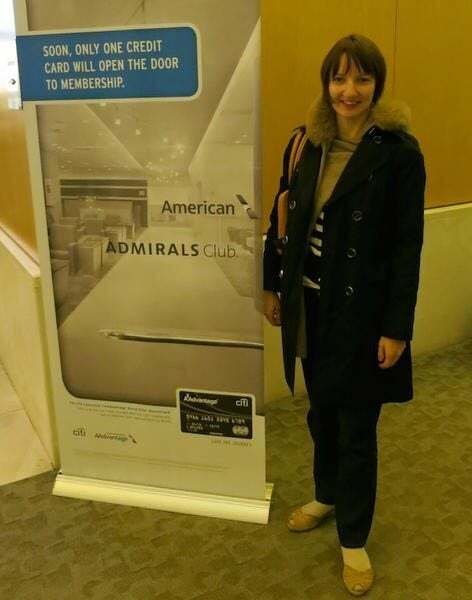 Primary cardholders have “Admirals Club” printed on the back of the card, but authorized users don’t! So that’s how they knew! Thanks, Emily, for being a good sport and testing this out for me! The Citi AAdvantage Executive World Elite MasterCard gives primary cardholders access to American Airlines Admirals Club lounges. Authorized users can NOT access Admirals Club lounges with their card. But they can enter the lounges if they’re with an immediate family member or they’re a guest of the primary cardholder. But the primary cardholder has to be present to get them in the lounge. Lounge staff can tell who is the primary cardholder by looking for the “Admirals Club” logo on the back of the card! Citi AA exec just extended admiral club privileges to additional card members. Additional card members have access WITHOUT the primary card member being present. This is a new and fantastic development. Do Citi Executive Aadvantage card members have access to American Airlines’s Flagship lounges? Unfortunately, the article perpetuates a widely held misunderstanding: this card does not “provide access”, it provides a full, annual Admirals Club membership (including access when one is not flying, if access is for business purpose and arranged 24 hours or more in advance). If you do not have your card with you for some reason, your AAdvantage number will still get you in. There is the Citi Prestige card – it provides access, not membership, on days one is flying AA. If you do not have your card with you, you will be denied access. Curious that the newly redesigned Citi Executive card (without embossed numbers on the front) appears to lack the Admiral’s Club logo on the primary cardholder’s card. An oversight? 1. Only the primary card holder is a member. Note the word member. Different than AmEx which was just given access. The member is allowed to bring in 2 guests Or immediate family which cannot exceed 2 people over 18 and all children under 18. For example John cannot bring in his wife, his 2 daughters and their husbands. He can bring in 2. If his daughters are under 18 they do not count toward the guest count of 2. At that point I would recommend a 30 day membership for one adult at a cost of $99.00 which is a full membership for 30 days. This mini membership allows 2 guests. 2. Our computers tell us if one is an authorized user. 3. Choice of airline doesn’t matter. You can fly anyone and access the club. We might not be able to help you with your ticketing but you can come in to charge your phone or computer…or even use ours, all the while enjoying a complimentary glass of wine or well drink. 4. Some day the citibank may allow household memberships! !